Enjoy the quiet comfort and gracious hospitality of The Olive House Inn, a beautifully restored 1904 California Craftsman-style home. 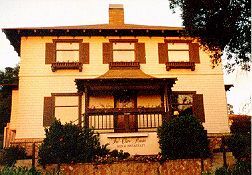 AAA has bestowed a three-diamond rating on The Olive House Inn. 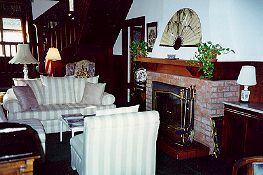 The Olive House Inn has six guest rooms, each with private bath. Special features may include expansive city-to-ocean views, fireplaces, private decks, and private hot tubs. 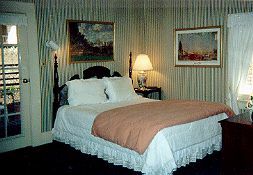 Rates range from $110-180/night, excluding tax; two-night minimum over Saturday. Reduced midweek rates, excluding holiday periods; business rates. Credit card required for deposit authorization in the full amount of the reservation including tax. All major credit cards accepted. Off-street parking; no pets; no smoking indoors.